I have too much to do to be under the weather. How about you? Staying well takes…intentionality, and Young Living makes it simple. Preventing seasonal sickness and all the discomfort that goes with it is preferable to working hard to regain your wellness once it has been compromised. And when it comes to prevention, OILS rock. Essential Oils aren’t called “essential’ for nothing. They are essential to the life of the plant and they are tremendously effecting in maintaining our wellbeing. This blog is on PREVENTION using the oils in your oily treasure chest, the Premium Starter Kit. These oils assist your body in staying well and vibrant so you can enjoy life! A quick disclaimer: There is no such thing as the perfect pill, supplement or even essential oil if you are treating it as a solution or way to counteract unhealthy living. No oil will counteract the neglect of the EIGHT Universal Health Laws (which you can read about here.) Everyone on the planet needs to know these unbending laws and teach them to their loved ones. These health laws should be a way of life and lived out with intentionality and purpose. Essential oils are one important piece of the wellness puzzle but they need to be 100% pure and unadulterated. Not all essential oils are created equal. That is why I am in love with Young Living’s products. Through the painstaking steps of their proprietary Seed to Seal process, they produce the best essential oils in the world. They are committed to providing pure, powerful products for every family and lifestyle, all infused with the life-changing benefits of their essential oils. Young Living embraces a rigorous quality control standard to help ensure their products meet strict specifications. As the leader of the essential oils movement, Young Living is paving the way to improve processes that protect our planet and ensure the highest quality standards. It is important to know that being labeled ‘organic’ or ‘pure’ does not mean that it only contains essential oil. The FDA only requires that 30% of the bottle contain an organic product to carry this label. The rest of the bottle can be fillers. Young Living’s products do not have any fillers in them and are therapeutic grade which is beyond organic. This is the level of quality I would suggest if you want something that WORKS and supports all the body systems. When I think of the Fall and Winter months I think of flu season. It only makes sense that our immune system gets compromised with all the candy consumed at Halloween, pies at Thanksgiving and cookies at Christmas. Sugar can really arrest a healthy immune system and put it into a tail spin! Being intentional to support our bodies at this time is the key to surviving and thriving through the holidays. Each of the oils in the Premium Starter Kit can provide support to the immune system but I would like to highlight a few that are most effective and should always be ready this winter. Thieves is a well known blend of Clove, Cinnamon Bark, Rosemary, Lemon, and Eucalyptus. These oils all support healthy immune function but blended together they are unbeatable! 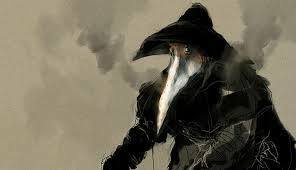 This blend is called Thieves because during the Black Plague of the 14th century, which ravaged 1/3 of Europe, groups of robbers wore masks filled with these highly antimicrobial herbs and oils to keep themselves alive while stealing from the bodies of dead and the dying. When they were captured they divulged their secret of survival. 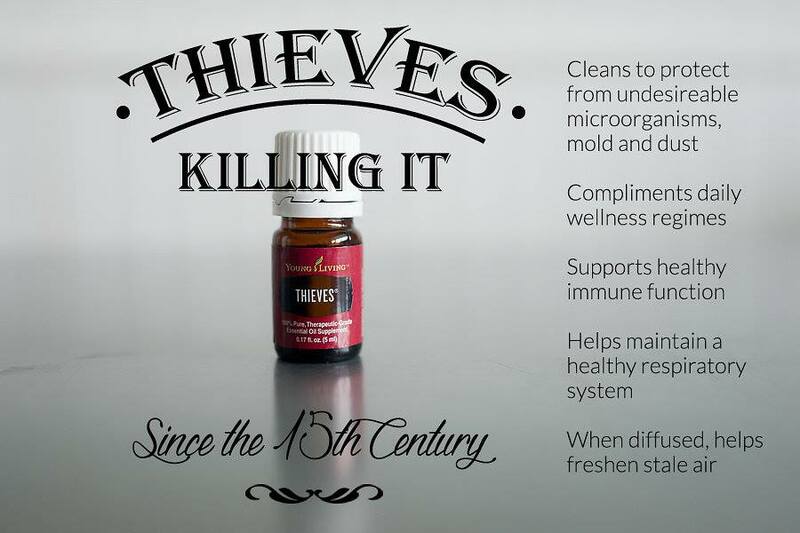 Each of these oils in the Thieves blend promotes healthy cardiovascular, respiratory function and supports healthy immune response. You should diffuse Thieves in your home, your diffuser necklace and in your car or anywhere you spend time in an enclosed space. There is no easier way to get these life giving molecules into the atmosphere strengthening anyone who is inhaling them. Be sure to follow the instructions on how to set up your diffuser that comes with your starter kit. Don’t let this vital appliance sit in the box, USE IT! It will change your life. My mother was bed ridden for a few years and I kept a diffuser with Thieves emitting these powerful molecules next to her bed 24/7. Even though she was stationary and people would visit her with their runny noses and coughs, she never got succumbed to the ravages of upper respiratory infections . It was a miracle. I know teachers in elementary schools that keep Thieves diffusing in the classroom and they report that fewer students experience cold-like symptoms throughout the winter months. My sons carry Thieves spray whenever they travel and use it preventatively. When the feel the slight onset of symptoms like a scratchy throat, they spray a squirt into their mouth. It strengthens the invisible protective shield that envelopes our bodies and keeps germs out. And it smells wonderful, is non toxic, eco friendly, and biodegradable. I keep a Thieves spray bottle in my purse to disinfect grocery cart handles, public restroom door handles (dilute 17-24 drops of the oil to 2 ounces of water in a glass Boston-round spray bottle)… It is a powerful way to prevent disease. 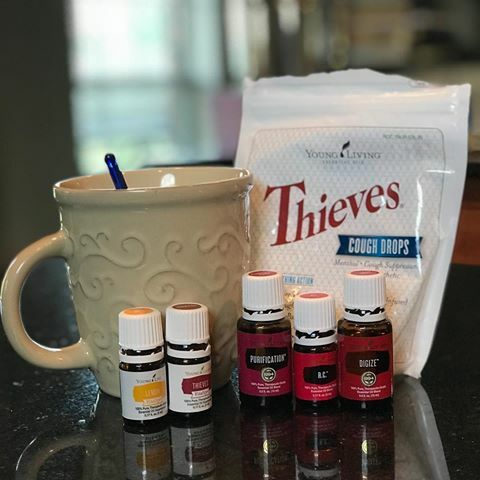 Thieves can be found in many of Young Living’s most popular products, and is safe, natural alternative to use in your home and to protect your surroundings. We use Young Living’s Thieves Household Cleaner for all our cleaning needs. It makes me feel healthier during and after cleaning with Thieves and my house sparkles and smells wonderful. Toxic free is a must. I never want to be without this oil blend or the Thieves cleaner. 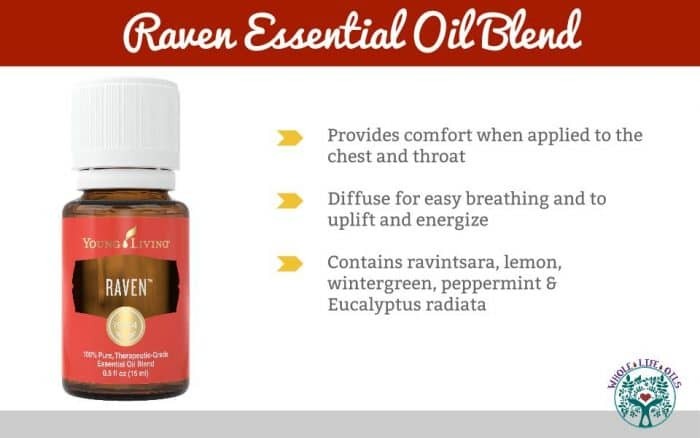 Raven is a blend of Lemon, Ravintsara, Wintergreen, Peppermint and Eucalyptus radiata and is another powerhouse for staying well. I like to put a drop of my wrists, rub them together and then rub my wrist under my nose above my lips. This seems to create a protective shield to the nostrils and stands as a guard at the door of my breathing. Try it. It works! It smells heavenly and will clear out your sinuses. 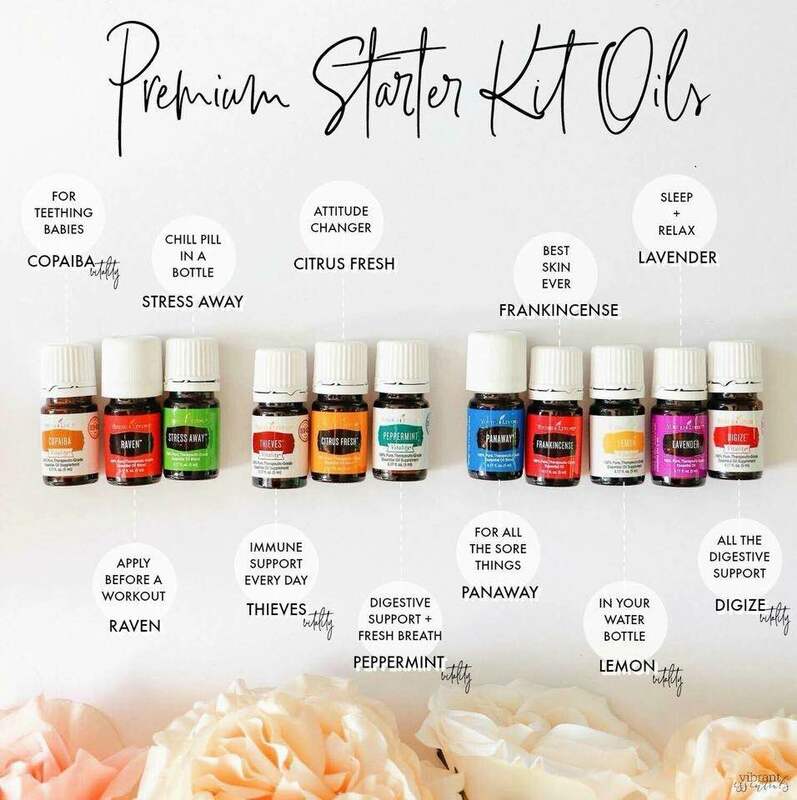 Research all the things this blend can do for you in your Essential Oils Reference Guide that I gifted you when you joined my team. 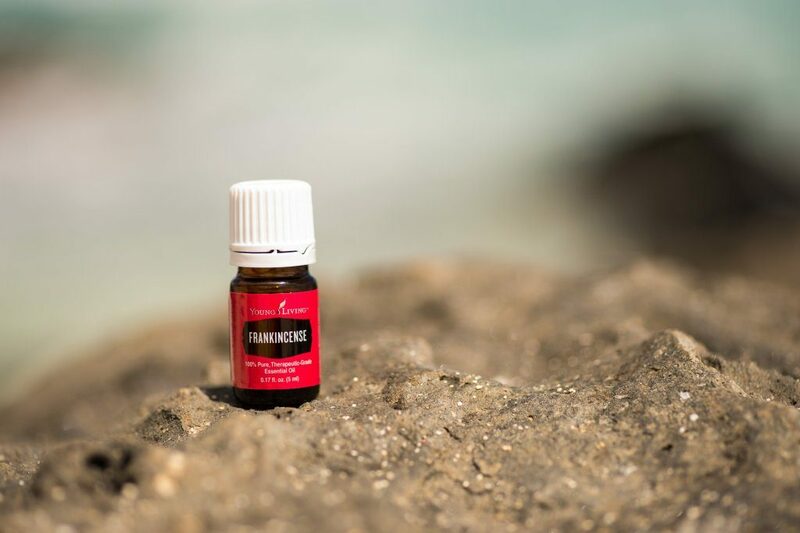 Another easy trick for applying Raven or Thieves or any essential oil is to put a drop on the bottom of your feet at night before bed. The pores on the bottom of your feet are larger than any other pores in your body and will absorb the tiny healing molecules and get them into every cell in your body within 20 minutes. This is such a wonderful preventative way of keeping well even when you are surrounded by those who are sick. Lemon essential oil includes the naturally occurring constituent d limonene, an antioxidant that has been linked to healthy immune system function. 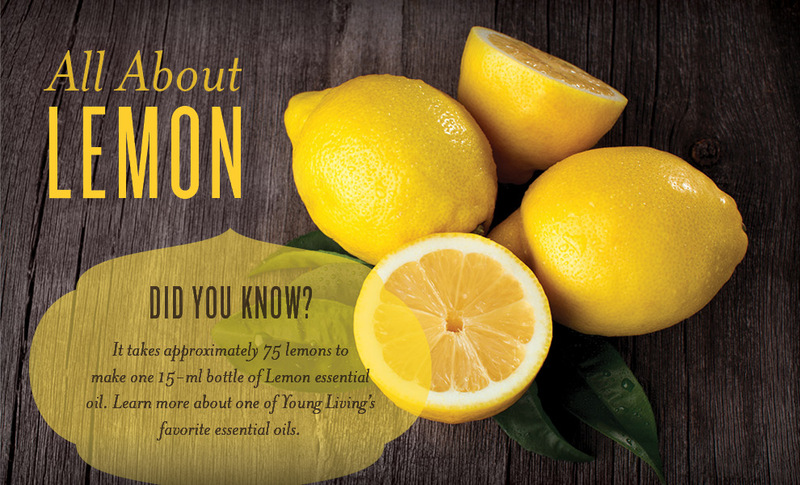 Lemon oil has a high vitamin content, which is wonderful in supporting the body’s immune system. It further stimulates white blood cells, thus increasing your ability to fight off diseases. Lemon oil also helps assist the body with healthy circulation processes. This oil is also calming in nature (*stress depletes the body’s immune response)and therefore helps in removing mental fatigue, exhaustion, nervousness and nervous tension. It has the ability to refresh the mind by creating a positive mindset and removing negative emotions. I drink it in my water everyday. Simply add a tiny blob of honey on the bottom of a glass mason jar add 3-6 drops of Lemon essential oil, add a tiny bit of warm water to mix it up and fill the jar with water. The honey helps to emulsify the oil in the water since water and oil do not mix. It tastes wonderful and is so detoxifying to our overburdened livers. I find that I stay hydrated really well because I love the taste of citrus oils in my water. Hydration is a major key to health. Dehydration is linked to every dis-ease. Another way I apply Lemon is ‘neat’ (undiluted), one drop over my liver which is on the ride side of our bodies just under the rib cage. I keep a Lemon YLEO bottle on my bathroom sink and apply that every morning before getting dressed. So simple and yet so profound. Frankincense is a very valuable and sought after oil. In ancient times, it was considered more v aluable than gold. Only those that had great wealth and abundance could possess it. Research shows that when inhaling Frankincense, it helps stimulate the olfactory receptors and activate regions in the brain’s limbic system associated with memory, emotion, and state of mind. The Egyptians claimed that it was good for everything from head to foot. Frankincense is mentioned 27 times in the Bible and is most remembered as a priceless gift from the Wise men to baby Jesus. One of the MAJOR Players in keeping a healthy, happy immune system is DIGESTIVE Health! Did you know that 70% of your immune system is based on your digestive health? So, if you have poor digestion it could be an indicator of poor immune health or you may have an autoimmune response. where in presents itself in other ways. Did you know that you have 3 1/2 to 4 1/2 pounds of bacteria in your digestive system that help to make vitamins, protect you against infection, and run your metabolism. Collectively this is called you micro biome. Did you know that you have 100 times more DNA in your micro biome than the cells in your body. The DNA in your cells and your micro biome talk to each other. The food you eat, what you put on your body, what you use on your body will nourish your cells. It is incredibly important when thinking through the products that you use and the foods that you eat and put inside of your body as well as what you apply to the outside of your body. Products that are extremely helpful in keeping your micro biome healthy all winter long are digestive enzymes such as Essentialzymes­4. Enzymes help to break down the food that we eat. Hydrochloric acid and bile are essential in the process of digestion, Essentialzymes4 has hydrochloric acid in the formulation. A good probiotic is also KEY to good health in the winter time. Young Living carries a Life 9 Probiotic this replenishes the good flora back in our digestive tract. Not all probiotics are the same you’ll want a high quality probiotic, I trust Young Living, they do everything with such thorough science and research and excellence. Making fermented foods, water kefirs or kombucha is another way to balance gut flora and assist in digestion. Hippocrates said, “All disease begins in the gut.” Digestion and gut health is such an important topic that I plant on writing a blog on all the ways to support digestive health and include more tips and products that Young Living offers to help us in this all important aspect of our wellbeing. The three oils in the PSK (Premium Starter Kit) that support Digestion are: DiGize, Peppermint and Copaiba. This Young Living oil is a blend of: Tarragon, Ginger, Peppermint, Juniper, Lemongrass, Anise, and Patchouli. We call it the stinky wonder. I have gotten more people sold on the importance and power of essential oils with this oil than any other. The results are nothing short of spectacular. Because it smells so unappealing I recommend putting it on the bottom of your feet over the reflexology points for colon or stomach, or putting it in a vegetable capsule with added olive oil and taking it with food so you aren’t burping it up. You can also put a drop in a spoonful of honey to take it internally. 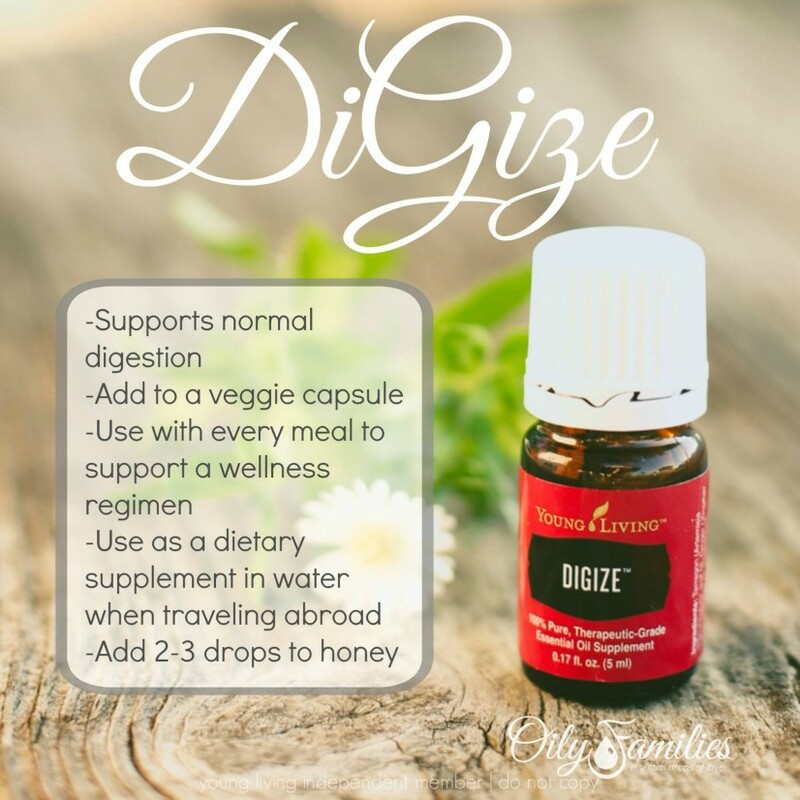 Hangovers…Montezumas’s revenge…indigestion…food poisoning…plugged up…anything related to digestion and DiGize is the answer….so worth the unfortunate aroma. I would NEVER diffuse this oil! Don’t leave home without it, especially if you are traveling to Mexico! Peppermint has so many uses it is the other major WOW oil in the PSK…actually they are all WOW oils. 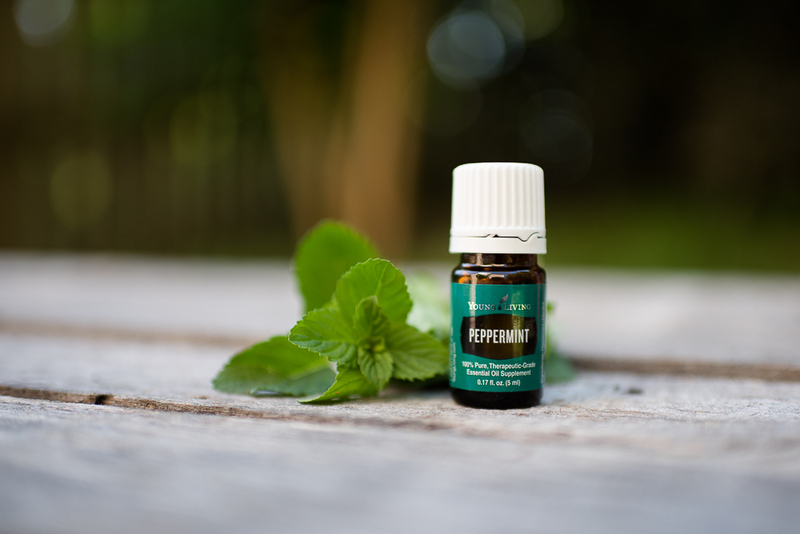 I could not live without Peppermint for so many reasons. Digestion is one of them. Put a drop neat over your descending colon and massage clockwise to get things moving. A drop or two of carrier oils will help with the massaging part and diluting any essential oil with a carrier oil is a great idea for stretching your oils and using them with wisdom. You can also make Peppermint water like I suggested with Lemon oil above. It is great just to breathe deeply with a drop in cupped hands. Activate the oils by rubbing hands together clockwise and then hold close to your nose and inhale deeply. DO NOT GET the Peppermint oil in your eyes…it will burn like crazy. If you do, simply add a drop of olive oil or coconut oil to your eye and it will desensitize it immediately. Peppermint is a HOT oil and may be used best diluted for people with sensitive skin. Take the time to really study each oil in your 400 page Essential Oils Reference Guide so you can become Oily Wise and know what a Treasure Trove you have invested in. 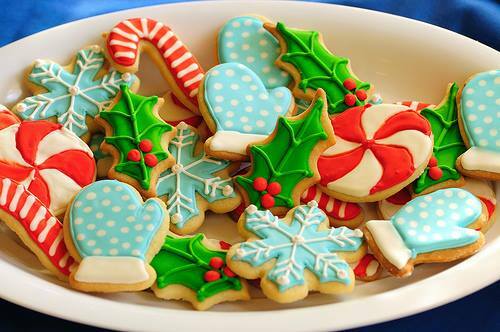 Peppermint will surprise you! I learned this fun fact to know & tell about Copaiba essential oils. One of the main components of Copaiba is beta-caryophyllene, which is what CBD oil is known for as a powerful modulator for the body’s response to injury and irritation. CBD oil has 30% of beta-caryophyllen and Copaiba contains a shopping 40-70% This means that a few drops of this amazing oil can have all the benefits of CBD oil and then some! 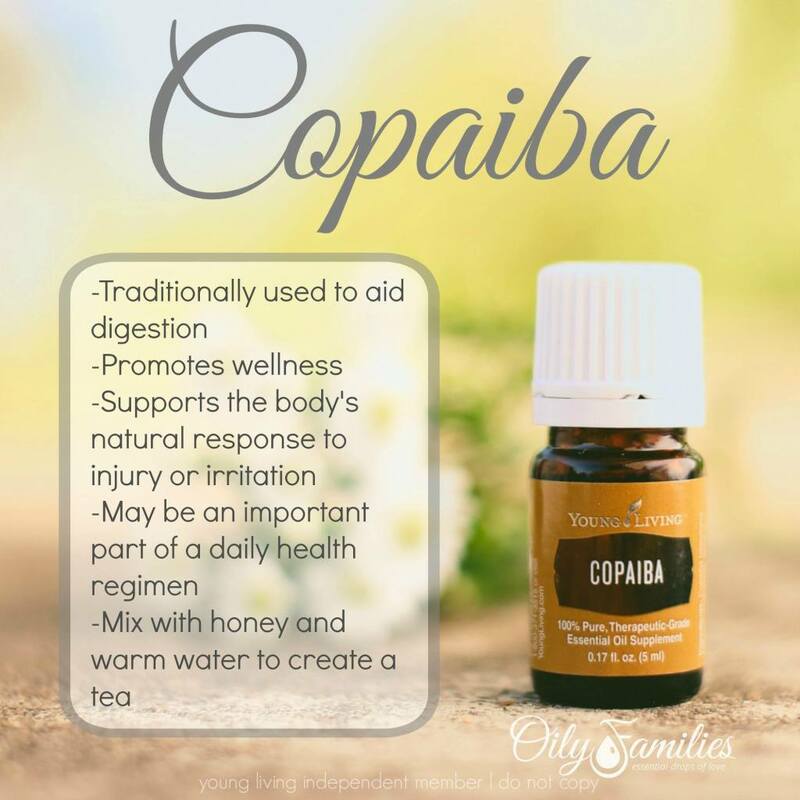 Copaiba has many uses but it is highly prized for it’s digestive support. I like taking it internally in a capsule or in my Ningxia Red daily shot. I also love making a hot (not boiling) tea with it and honey to soothe any tummy issues. Can also be applied topically where you need it. Stress wreaks havoc on our bodies. There are many essential oils that are highly effective in supporting emotional well being. Stress Away is a great oil to start with, it comes in the Premium Starter Kit (PSK) and smells delicious. The first thing I suggest you do when you get your starter kit is to open the secret compartment at the bottom of the box and find the StressAway blend and the roller ball filament with it’s black lid. Take off the white lid and the plastic reducer and put the roller ball filament on instead. ROLL THIS along your neck and shoulders and just breathe deeply. Instant destress! There are tons of other great oils for balancing emotions. We could talk for a few more hours about this so again, I recommend doing some additional reading in this area. Remember to drink plenty of water, get adequate sleep, carve time out in your life for exercise and spiritual renewal (however that may look for you:) I also love diffusing this oil. 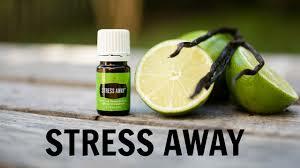 In the Summer time, diffusing StressAway and Lime together smells like a Key Lime pie! StressAway in therapeutic bath salts is also a powerful stress reducer. I love love love this blend. 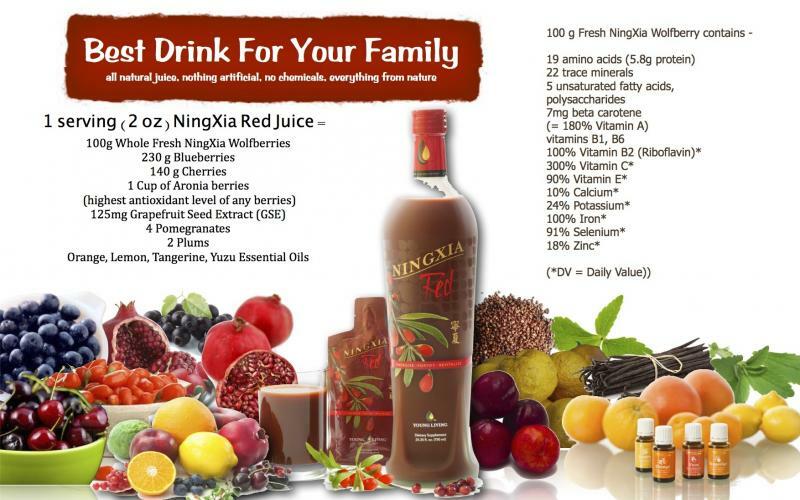 Ningxia Red is a whole body nutrient infusion drink made from the wolfberry superfruit. It contains powerful ingredients which are involved in many antioxidant processes. A little goes a long way, one shot in morning is usually enough for most people. It is wonderful chilled and many people like to add it to their morning smoothie. I drink mine when on nature walks and at sit spots communing with God. Young Living sells many oil infused supplements but this one is a must in my family. I spend my Essential Rewards points to get this super drink for free from the points I earn when making my monthly purchases. You’ll find a sample of this in the bottom secret compartment of your PSK. On hot Summer days I like to freeze the packets as a frozen super popsicle. When I start feeling poorly I will up my Ningxia Red intake and be more determined with my oily arsenal. But most of the time I stay pretty darn healthy. I am so thankful for Young Living and feel that investing in my health is the best way I can help my loved ones. Young Living creates many oil infused supplements, nutritional products, skin care and personal care products, a toxic free makeup line called, Savvy Minerals, pet care, baby and kid products for raising healthy kids, health inducing cleaning products. They are most renowned for the purity of their therapeutic grade essential oils 102 single oils and 84 blends. Many of these support immune health as well but I wanted to help you appreciate the items in your Premium Starter Kit and how they can be used daily to keep you living your best life now. Immune support oils outside the starter kit: Oregano, Thyme, Immupower, R.C., Hyssop, Exodus II, Clove, Cinnamon Bark, Rosemary and any of the citrus oils…. Our bodies are fearfully and wonderfully made by our loving Creator to be self healing. The two things necessary for healing are: 1. get the toxins out of the way (diet, toxic cleaning or skin care products, meds…) and 2. to give the body real food that feeds the cells and not just fills your stomach, and real support with plant medicine the way God intended. There are no side effects from using Nature’s gifts of healing and our bodies know what to do with them. Many essential oils are adaptogenic meaning they will do what your body needs. You don’t have to understand HOW that happens for it to be a blessing to you. Oils will change your life and keep you living far above the wellness line but the bottom line is that you have to use them daily for these precious healing molecules to make the difference you want. If you use them you will run out of them and you’ll want to keep a supply of your favorite products and oils and expand to try new things. So do this wisely and take advantage of the many ways you can save money with Young Living and discover all the ways you can receive rewards and freebies from Young Living and also from your team leaders with their monthly promos. Get on Essential Rewards right away and begin accruing points to redeem on all the oils and YL products you need to change your life for the better. In my next blog I will delve into what to do if you do get the YUCKIES! But for now I challenge you to stay ABOVE the wellness line by living with intentionality and purpose. Oil up!